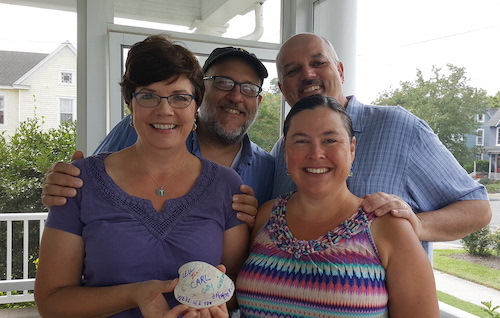 When we started our popular “Shellfie Project” over two years ago, we had no idea how our guests would receive it. We’re delighted to say they love it! 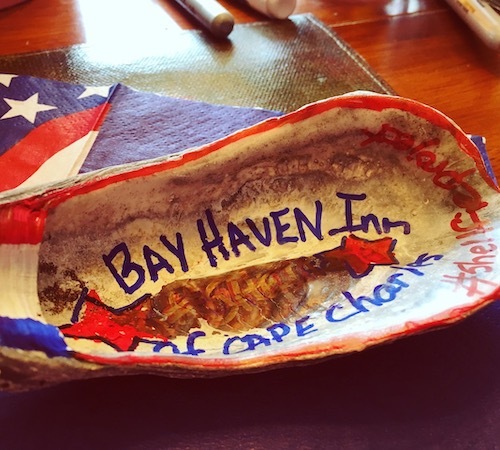 From repeat guests to honeymooners, guests from around the world share a memory of their Cape Charles stay on clam shells. For us, it’s a way to get to know our guests and to find out why they are traveling through our neck of the woods. And, we’re not gonna lie…it’s a tad bit sad every time we have to tell our guests goodbye. But the good news is the Shellfie Project allows our guests to leave a little piece of themselves with us at the Shore. 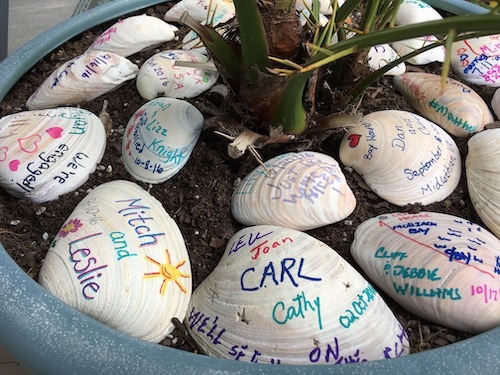 As part of the Shellfie Project, guests sign their names on a shell, take a selfie with their shells, and leave the shell to remind us of them. We even have a selfie stick to help guests capture their best Shellfies! Don’t be surprised if the next time you walk by the Bay Haven Inn you spot signed clam shells under the palm tree in the Margaritaville area on our property. 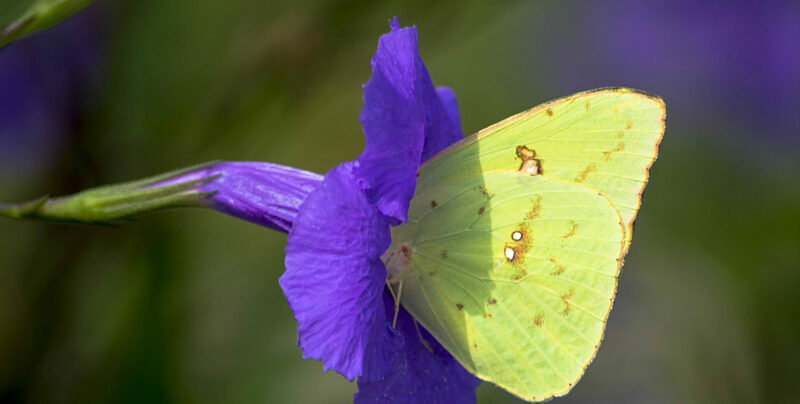 Or you may find them adorning the plants on our porch. Grandparents are learning not just about Shellfies, but selfies, too! (And why we love both so much). When they use the selfie stick to take a picture with their Shellfie, the shared smiles bridge generations. And it’s enough to make many of our guests make more than one Shellfie! 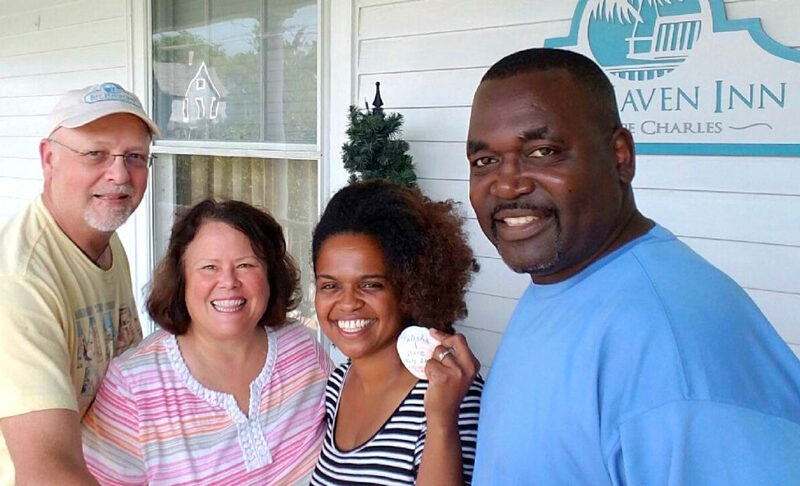 But the Shellfie craze has officially gone beyond the walls of Bay Haven Inn of Cape Charles. Last year, the Raw & Reel Film Festival organizers asked us to be a part of their event. This prestigious affair debuts films made by incredible filmmakers from around the world. But get this. The Festival is combined with some Eastern Shore eating of oysters! So we adapted our traditional clam Shellfie to an oyster shell. As you can imagine, the guests loved it! 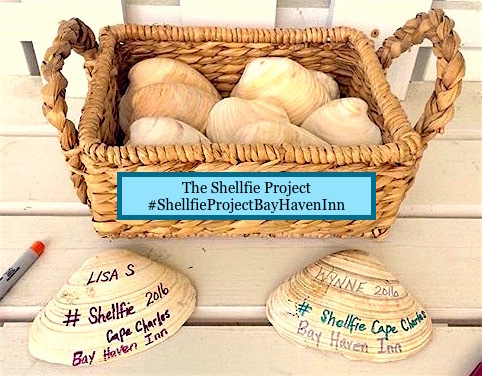 So, the next time you take a stroll by our Inn or come for a visit, be on the lookout for signed clam shells, now known as Shellfies. Heck, we would even love for you to grab a shell and the selfie stick. Make a memory of your own! Book your reservation here and join the fun. This entry was posted in Bay Haven Inn Experience, Intern, Summer by admin. Bookmark the permalink.